Previously, we broke down some of the candy and foods you should avoid during Halloween and Thanksgiving if you wear braces. Did you make the right eating decisions on those days? We hope you avoided any issues with your braces during those holidays. 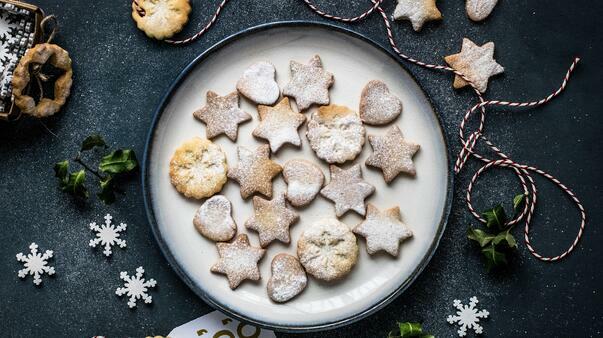 The next holiday that will involve plenty of delicious food, sweets and treats is Christmas. Over the next few weeks, there will be plenty of festivities, lights, gifts, and food. You do not want there to be any broken bracket on your braces, right? You can keep your teeth healthy this Christmas by making sure you choose the right candy to eat with braces. Caramel - We are sure you know this by now, but if you eat anything sticky, it will likely get caught up in your braces and stick to them. You do not want to eat anything that can get stuck in your braces because it will cause you plenty of frustration. Caramel candies are not going to be friendly to your braces. Peanuts, Walnuts, Nuts - It does not matter what time of the year it is, you should avoid eating any type of nuts when you wear braces. When you eat nuts, they will make a home on your braces. If the nuts get stuck in your braces, your brackets will likely be busted. Candy Canes - Everybody loves candy canes, right? While your family may love candy canes, you might want to turn your head when everyone is taking a candy cane off the tree. When you bite into a hard piece of candy like a candy cane, your brackets may not thank you. Since we gave you a rundown of the candies you should avoid, you may be wondering what will be safe for you to eat. Don't worry because there will be some delicious treats that you should not be afraid to touch on Christmas! Go For The Fruit - If you are a fruit lover, you can have your pick of fruits this Christmas season. Fruit is always a delicious treat, regardless of the time of year. Before you eat the fruits, you should make sure the fruit is cut into small pieces. Have a great time eating those delicious apples and oranges. Reese's and Hershey's (Chocolate! )- If you love to eat candy that melts in your mouth, you probably love to eat Reese's Peanut Butter cups and Hershey's kisses. There are several pieces of chocolate candy that are not a threat to your braces, and peanut butter cups and Hershey's kisses are in that group. While your family is enjoying a table of treats and goodies on Christmas, you don't have to be left out. You can enjoy the holidays by eating the right sweets and treats. You should definitely avoid the candy that you think will easily get stuck in your braces. You definitely also want to avoid the candy that can break your brackets. When you know what candy to avoid, you will be able to make better decisions when you are grabbing some goodies from the treat table.